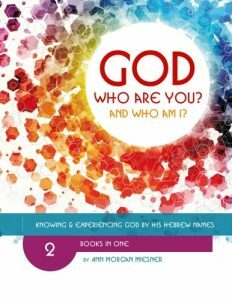 norming Archives | GOD Who Are You? AND Who Am I? God’s character name of Jehovah-Sabaoth [The Lord of hosts] demonstrates that His love has a soft side and a hard side—He woos and romances His Military Bride as opposed to being Supreme Commander of the universe. 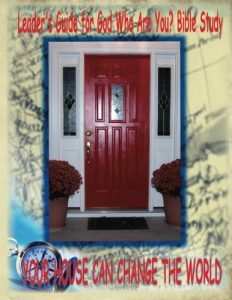 In the book, Two Sides of Love, John Trent and Gary Smalley express the importance of understanding and creating a healthy balance between love’s hard and soft sides in our relationships. This chapter examines the more hard side of our companionship with the Lord of hosts—the military, yet loving, side of this amazing partnership and what it takes to arrive at the “performing stage” of maturity. The Hebrew word tsâbâ’ (Sabaoth) for ‘host’ is derived from a verbal root which means to amass (an army or servants), to assemble, to muster (soldiers, 11 Kings 25:19; Jer. 52:25), to collect, to fight, to perform, to go forth to war, to wage war (Num. 31:7: Isa. 29:7, 8; 31:4. Zech. 14:12) to do military service. The Supreme Commander has one military bride of many individuals divided by denominational walls. 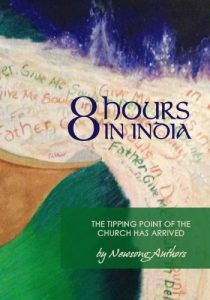 Until now, she has only been practicing her role in small denominational groups, but she will soon be giving the performance of her lifetime. We will look at the big picture of how unity can be attained in order to get to this performing stage, what the military bride looks like at performing stage and how the walls between groups can come down—where they had not already done so. What Does this Military Bride Look Like? One day, the Lord of hosts showed me what the military bride looked like when the walls come down. It happened on a clear, beautiful fall day in October, 1994. I had just finished taking a teamwork class taught by my husband Jim. 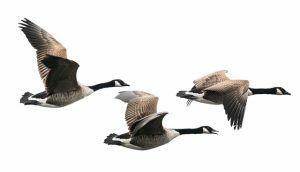 He used the analogy of geese in flight to teach teamwork dynamics. I also learned that eagles are solitary, self-sufficient and strong, but that scientists discovered that geese have a 71% greater flying range than eagles. Why is this? To fly from north to south and back again, geese need each other. Each goose depends upon the upward gust of air from the bird ahead to give his wings a push. The wings of the goose behind grab the air that causes another upward lift for the next bird behind. The head goose will fall behind and take his place at the rear, while the next in line will apply his strength to take the lead. Their “V” formation facilitates communication and allows the birds to maintain visual contact with each other while energy efficiency is doubled. The honking of the geese encourages the lead goose that they are right behind him. When one goose falls ill and out of line, two others stop their forward progress to stay with him until he is well again. PLUS, geese mate for life! I was driving home to Arkansas City, Kansas, in my van filled with books from a day of servicing racks in Tulsa, Oklahoma. Halfway between Pawhuska and Ponca City, in the beautiful, rolling flint hills, suddenly, just outside my left driver’s window, I saw one lone V of about five geese flying a couple feet from me. I immediately pulled to the side of the road so I could watch. I hoped to see the head goose fall to the rear while another took his lead. My heart was pounding hard—another reason I knew it was the Holy Spirit getting my attention. By the time I had stopped, the one group had crossed over to the right and met up with a large flock of geese in mid-air. None were in formation and going nowhere because they were flying in all directions. The outward perimeter of the hundred or so geese resembled the shape of a large coffee can in the sky. As they were joining together they bumped into each other, each squawking in loud protest. I repeated out loud what was happening so I could hear my own voice and hopefully remember what I saw. Finally, it was as though each goose figured out which direction the other was going and one by one it started flying in the same direction. As long as the geese were struggling to fly in different directions and bumping into each other, the complete cylindrical group was at a standstill. Slowly, very slowly, one long continuous skein of geese began to form as one goose after another spiraled straight into the atmosphere—following a goose who took off as leader. 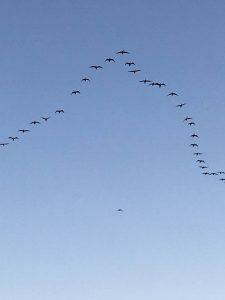 Just when I thought the geese would leave my range of vision, they leveled out, group after group falling into ranks—in one huge “V” with several, perfectly arranged, smaller v’s within—of about seven in each. It was the most amazing and beautiful sight I had ever seen! I thought, they should be able to go a long way like this. But, so very soon they fell out of rank. From the opposite direction, a new flock of geese flew into view. I could not hear them, but I could see them squawking and honking at each other, just as though they knew each other. Suddenly, both groups turned in unison and flew directly into the sun. At that moment, cars stopped to see what I was looking at, but unfortunately the other drivers had missed it, and there was no way I could tell them what had just happened. Blinded by the sun and filled with an incredible joy, I jumped into my van and took off. My thoughts went immediately to the parable of the ten virgins in Matthew 25. When the bridegroom arrived at midnight it was too late for the five foolish ones to buy oil for their lamps. Like the ones driving by, they had missed the opportunity of their lifetimes to go to the wedding banquet. And the door was shut. It was then I knew what Jesus meant when He said, “Behold, I come quickly” (Rev. 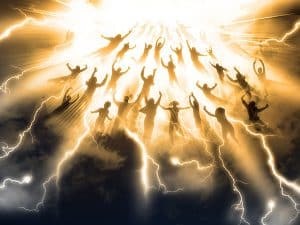 3:11; appears six times in KJV Revelation). Later, I discovered the verse that says, “But you, brothers, are not in darkness so that this day should surprise you like a thief” (1 Thess. 5:4). Jesus tells us that two men will be in the field; one taken and the other left; two women will be grinding; one taken the other left. (see Matt. 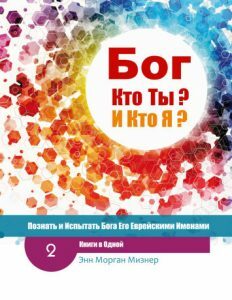 24:40-41). While witnessing this phenomenon, I was thinking about the four stages of teamwork that I had just learned in that class and how they relate to the Church and denominations. 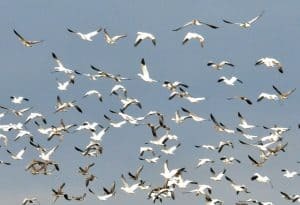 The purpose of the geese was to find a way all individual birds could rise high enough in the air to gain altitude needed to fly to their next landing place. For that to happen, they had to find unity by learning how to work together as one whole. The walls between them had to come down. The stages of team dynamics can help us understand how this can happen if we have unity as our goal. Members have to learn how to work out personal differences, find strengths on which to build, balance commitments to the goal against demands of everyday jobs, and learn how to improve processes. In contrast, a team that fails to build relationships among its members will waste time on struggles for control and endless discussions that lead nowhere. As a team matures, it will go through fairly predictable stages. As the Church sees herself as the Bride of Christ, and that Christ can only do His work through a mature bride, she will be willing to persevere through these four stages to her military hard side–through forming, storming, norming and performing. Stage 1: Forming stage of the military Bride – This is the stage of transitioning from individual to group status, and of testing the leader’s guidance both formally and informally. So much is going on to distract members’ attention in the beginning, the group accomplishes little. Most discussions or practices lead nowhere. It is difficult to identify relevant problems. This is normal, The most successful team spends more time in this stage which allows them to get to know each other better. Stage 2: Storming stage of the military Bride– This is the most difficult stage. The task seems more different and difficult than imagined; persons become testy, blameful and overzealous. Members argue about just what actions to take, and they become impatient about the lack of progress. They are inexperienced and try to rely solely on their own personal experience, resisting any need to rely on other member’s wisdom and/or experience. The feelings of those in the storming stage include resistance to the task because it is different from approaches used in the past. Fluctuations arise in attitude about the group’s chances of success. They may argue even when they agree on the main issue, become defensive and compete, choose sides, have unrealistic expectations with disunity, tension and jealousy. All the above leaves little energy for progression, but individuals are beginning to understand each other, just as the geese gained an understanding of each other and started flying in the same direction. Our leader as the Lord of hosts, our Supreme Commander, can also be seen as the head conductor of an orchestra. This is a stage of starts and stops, that He initiates, as we practice for our big performance—a most frustrating experience. Just as it seems the music will flow uninterrupted, it happens again. Over and over, the same piece of music is practiced very slowly in order to get it just right. Practice is all a necessary part of the end product— the big picture. Military bride going no where. Storming and Norming stages. Stage 3: Norming – Finally, team members come to accept each other’s individuality and their roles in the team. They are learning to work together. Emotional conflict reduces to a cooperative approach. In other words, the team realizes they just might make it. A new ability arises when each person sees where their contribution fits. There is a relief that everything is going to work out. Attempts are made to avoid conflict. There is a sharing of personal problems and trust is strengthened. All have a common spirit and goal. Team members are working out their differences and finally there is more time and energy to make significant progress. The task at hand becomes worth the time and effort it will take to be successful. Members of an orchestra meet in small group settings according to instrument, or gifting, and help each other with the hard parts. Finally, when all members come together they make the most amazing music. Stage 4: Performing stage of the military Bride– In order to perform, the mature team has developed relationships and expectations of each other. They have discovered each others strengths and weaknesses, have accepted them and learned what their role is—where their seat is in the grand orchestra and who their neighbor is. They are playing in concert and giving a grand performance. The team elicits these behaviors: constructive self-change, the ability to prevent or work through group problems and a close love and attachment to each other. The group is now one cohesive unit. One can tell when this stage is reached because a lot of work is accomplished. Progress is made. People want to be a part of this group and volunteer to fill the empty chairs. If you enjoyed this excerpt from my book, GOD Who Are You? AND Who Am I? Knowing and Experiencing God by His Hebrew Names. 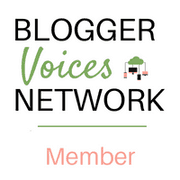 I invite you to sign up for my free eCourse bonus to the book at the link below: LEARN MORE and join us! Zodiates, Key Word Study Bible, p. 1767.